My son aged 12 and I just completed our Competent Crew and Coastal Skipper courses respectively with Keith this last week. We had all kinds of weather from sunny days with light breeze to force 6-7 rain squalls with heavy seas. 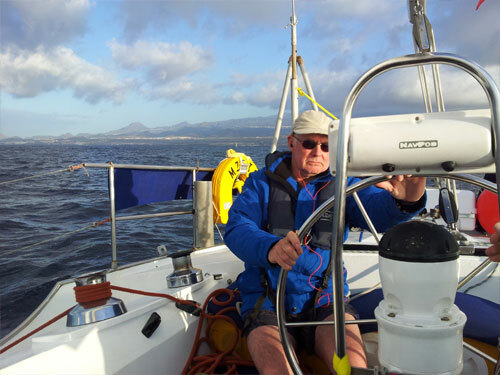 Throughout this process we were expertly guided, trained and tested by Keith. At no time did we feel unsafe or unsure. What impressed me the most was Keith's patience and clear and well thought out explanations. One moment he would be answering my demanding 12 year old's questions and next switching to clear complicated navigation explanations with me. Keith is a talented teacher and his wealth of experience shines through. I could not recommend him and his school more. All in all an excellent experience and a fantastic opportunity to learn more about the wonderful world of sailing. Thank you very much Keith!